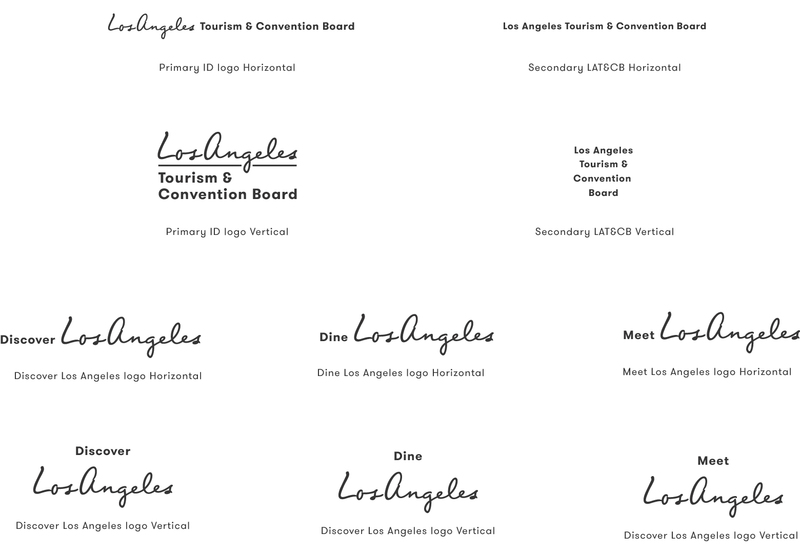 I worked with my good friend, Tom Morhous, to rebrand The Los Angeles Tourism & Convention Board. 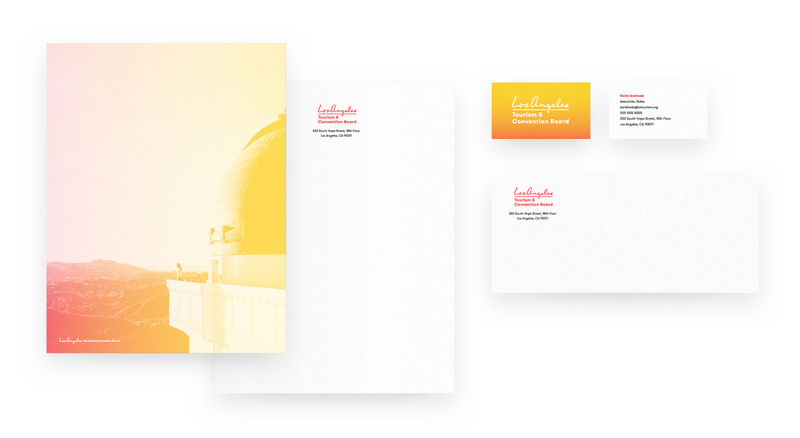 The goal of the project was to take the existing brand and evolve it to a more current look and feel. 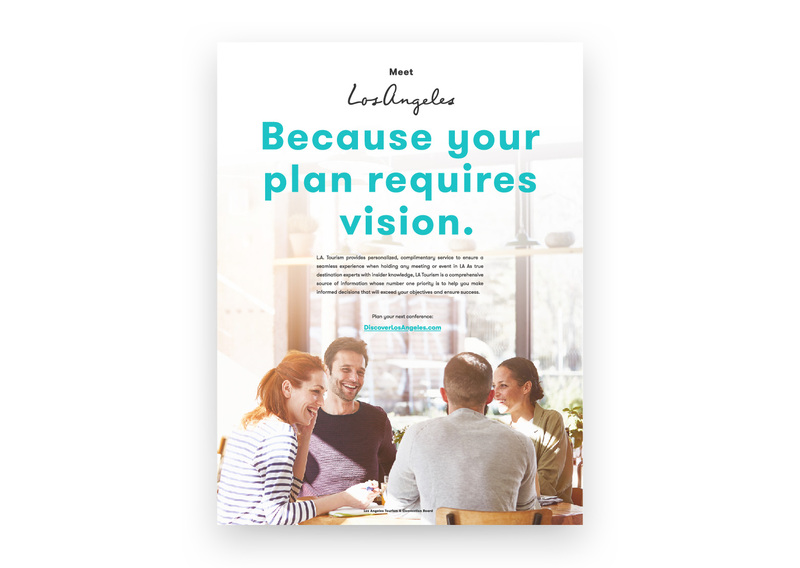 How could current brand assets be leveraged to the next level? The end solution involved keeping the existing logo, colors, and grid. Each of these existing items were refined to work within a more robust system. At the same time, we introduced an entirely new system for typography and photography. The end result retains the bulk of the brand’s equity, while at the same time making it feel current. More importantly, the changes have the weight of meaning behind them. LA is boundless. The world becomes interesting when you ignore boundaries and give things space to spread out, whether its art, food, music, color, or sounds. 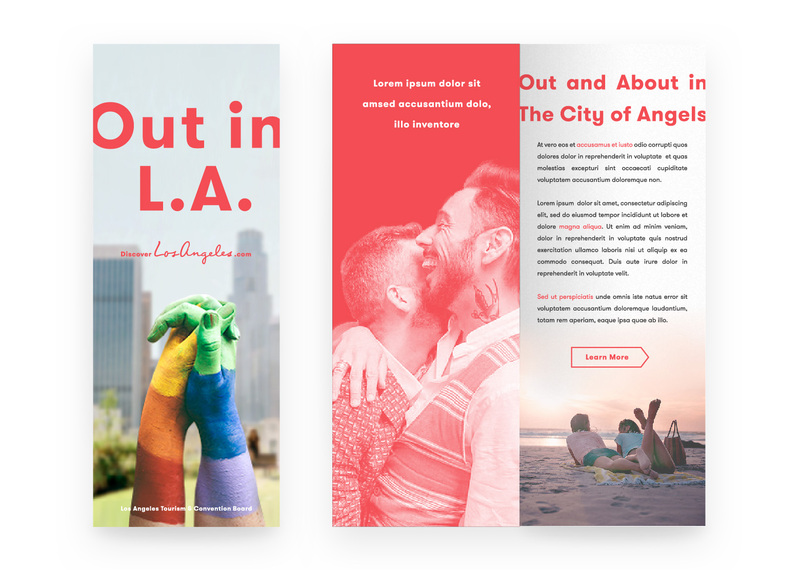 LA, with its many and varied neighborhoods and huge diversity, is the perfect place for this to come to life. Spaces blend into each other, both artificial and natural... ocean into mountains, city into desert, Santa Monica into Venice, the colors of the sunset, the cultures of all the people that call this place home. It's a boundless city of opportunity. LA is colorful. From the food, to the street, to the art, to the music, people, music, sunset, sky and mountains, LA bursts with color. This color exudes an energy that’s enchanting to visitors. LA is brighter and more colorful than anywhere else on earth. It’s what draws people in to visit and keeps them coming back. 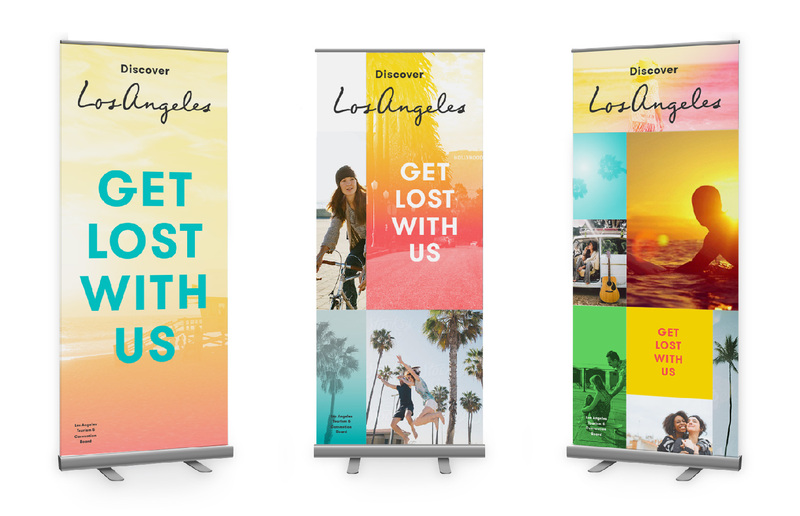 The LA Board of Tourism’s visual brand had grown tired, and they knew it. There were too many colors, too many type styles, and not underlying idea reflecting the city’s heart. Still, it’s rarely a good idea for a brand to trash all of the equity it’s built up and start anew. At the onset of the project, the two central goals were to: 1. Revamp everything (short of the logo) and 2. Retain as much of the brand’s equity as possible. 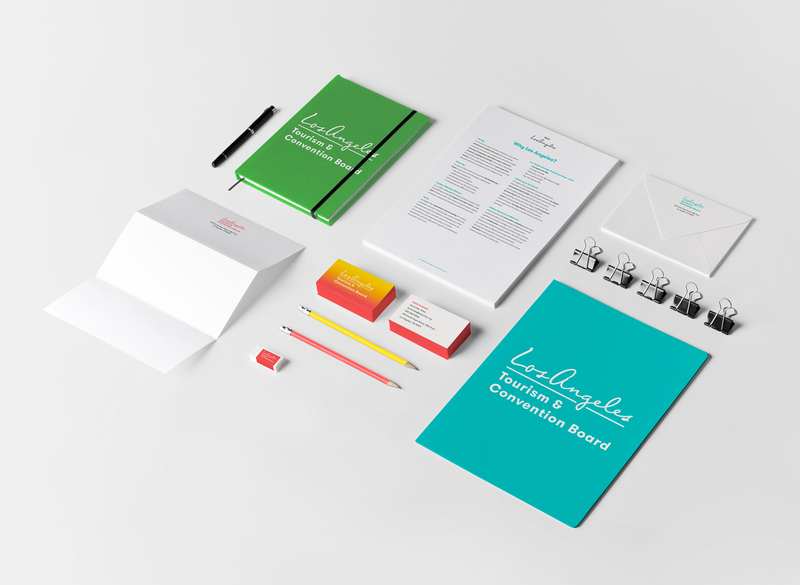 In short, the goal was to signifigantly evolve the brand to a place that truly represents Los Angeles. The long and short of it is: the color palette was full of redundancies and felt a bit flat. We reduced it to a punchier, brighter combination of colors. The new colors are in line with the old but set a new tone for a new direction. GT Walsheim is an expressive sans-serif with a big smile. Like the previous typeface, Avenir, GT Walsheim is a geometric sans serif. Beyond that, the two are very different. Avenir is essentially, a nicer version of Helvetica, whereas GT Walsheim has a distinct personality that instantly sets it apart. Look at That G, Y, & A! At the same time, it even works well in body copy. Not an easy task for expressive geometric typefaces! 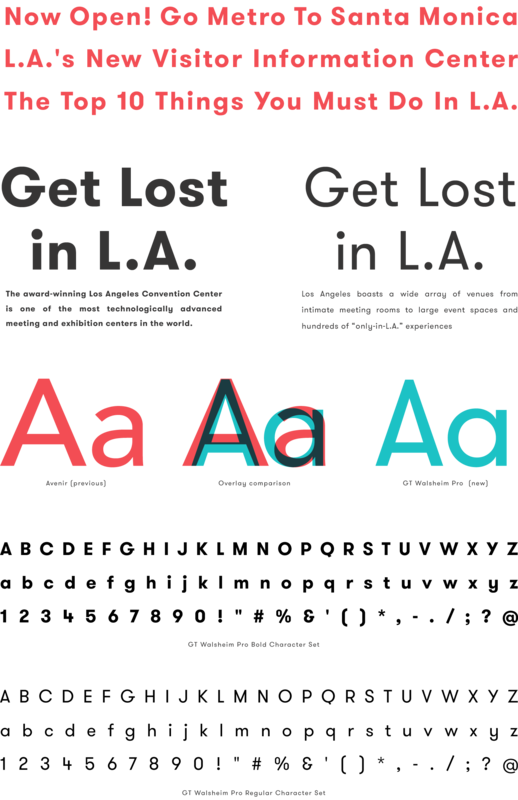 GT Walsheim is a versatile typeface that beautifully captures LA’s vibrant and eclectic spirit. The previous two color wordmark has been replaced with a single color to create a more cohesive object. Vertical and horizontal versions allow for different space requirements. A simple system (like the Dine & Meet shown here) will work to accommodate any number of sub-brands without creating entirely new marks and diluting the core brand. These wordmarks may be used in any one of the brand color. 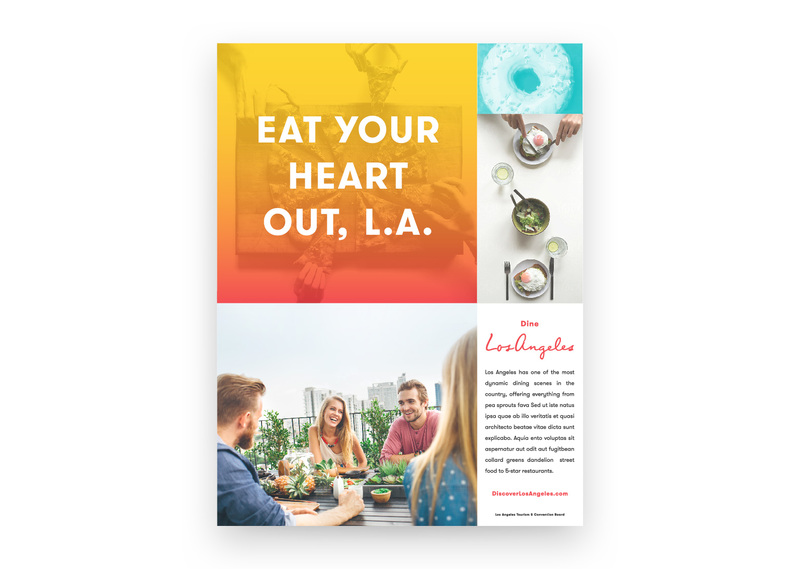 When the Los Angeles script is already present on the page, a secondary lockup for Los Angeles Tourism & Convention Board so as to not compete with the script. Los Angeles is an expanse of possibilities. One way of expressing this is with a variety of images on one page. A grid system can help organize these images, showcasing the variety, while focusing the message. The caveat is that if the grid is too rigid or formulaic, the composition loses visual interest. The grid we landed on is asymmetric and unique to each layout to suit the content. If there is only one image, there’s no need for a grid. If there are multiple images, everything should live in the grid. Type included. 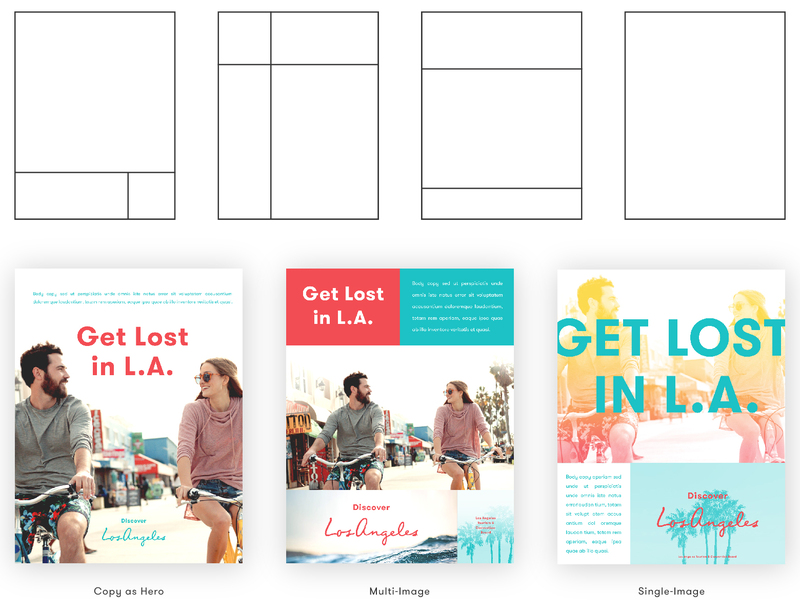 Applying the same content to different layouts allows for different priorities in a composition's hierarchy.